Luxurious and contemporary, the Alphason Northland Leather Tilting Executive Chair gives you the very best in terms of looks and comfort. Great for up to 8 hours' use, the Northland brings unparalleled comfort thanks to its sumptuous first-grade leather seat and back support. No matter how you like to sit, the chair has ergonomic arm rests upholstered in the same soft touch leather for supreme comfort at all times. A high back gives you the support where you need it with a pronounced headrest to provide comfort whilst you work. Tilt, shift and lift with the convenient controls to get the Northland in the right working position. Padded armrests mean that every part of you in contact with the Northland, from forearms to thigh and back, is supported and comfortable. 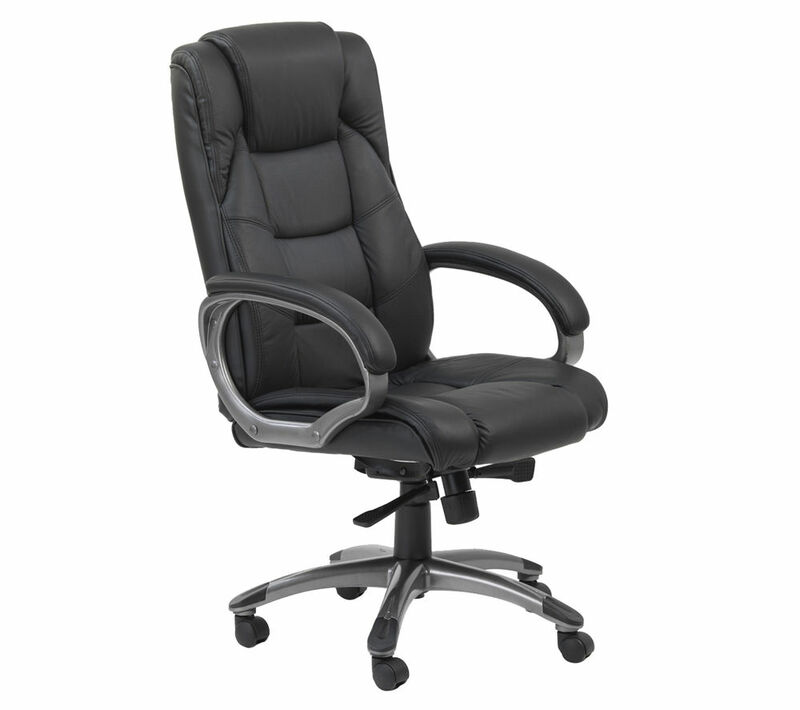 Get comfortable at work with the top of the line high-backed Alphason Northland Leather Tilting Executive Chair. Padding leaves a lot to be desired after around 20 mins the seat it hard and uncomfortable. Not worth the premium price.. Have had to buy a extra cushion for comfort. Looks great, very upmarket, and is super comfy even after a few hours of working on the PC. I found this to still be true even during the recent bout of really hot weather.